Despite the immense progress made in the field of robotics in recent years, the use robots have still proved to hold some limitations. These include their poor ability to survive rigorous daily activities and the need for providing a constant energy source that does not require recharging. Nature on the other hand has shown increased resilience and evolution to changing conditions over millions of years. This has since inspired a team of researchers at the Korea Advanced Institute of Science and Technology (KAIST) in Daejeon, Korea who now use the concept of nature’s resilience and evolution together with robots. Recent experiments conducted by this team of researchers have shown that robots can now be used to control turtles through a strange parasitic relationship formed between the two. Turtles first learn to associate a red light given off by the shell-attached robot with food. This is then followed by the robot subsequently dictating in which direction the turtle should move. They began by gluing robots to the backs of five red-eared slider turtles. These robots consisted of a processor, a frame containing five spaced apart red LED lights which then stuck out in front of the turtles head and a food-ejecting tube. The main aim of these robots was to ride their respective turtles through five checkpoints in a tank filled with water. Turtles were trained to associate a lit-up red LED with food and the robots would feed them snacks as a reward for moving in the right direction. Results from their studies showed that all five robot-turtle pairs were able to complete the course. 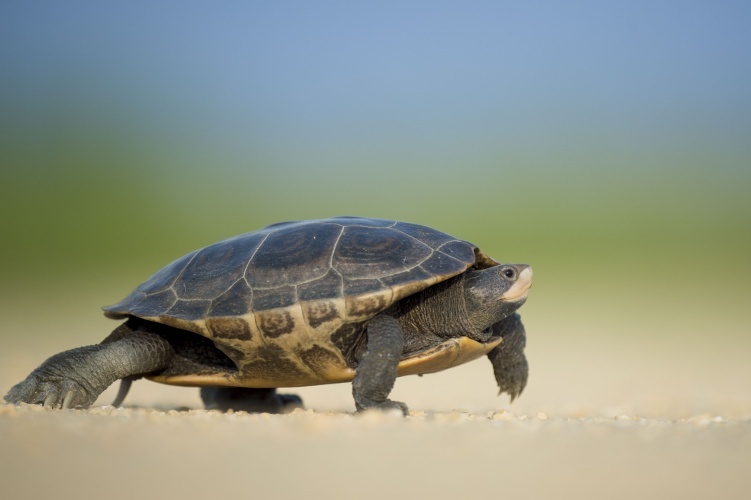 Furthermore over time, these turtles were then able to speed up in completing the course. The research team from KAIST now say that these robot-animal pairings could be done with a range of animals including fish and birds making these combinations applicable to a range of fields such as surveillance and exploration. Kim and his team hope to be able to eventually harness some of the host animal’s motion in order to power the robots in the near future. These robot-animal interactions are not a new concept as previous studies have shown the use of electrodes and radio antennas connected to the nervous systems of insects. While these interactions could have immense use in varying fields, there is still an issue of ethical clearance.